I was looking to buy a new cheap 2 TB (terabyte) external hard drive on Black Friday to try and get the best deal. Target had a special on the Western Digital WD Elements 2 TB USB 2.0 Desktop external hard drive (model - WDBAAU0020HBK-NESN) for just $69.00! A sweet deal for 2TB! However, when I went to pick one up they were gone and a Target employee told me they sold out in less than 15 minutes. Curse you Black Friday freaks that camp out a week in advance! So I decided to head over to Amazon to see how much they were selling for. 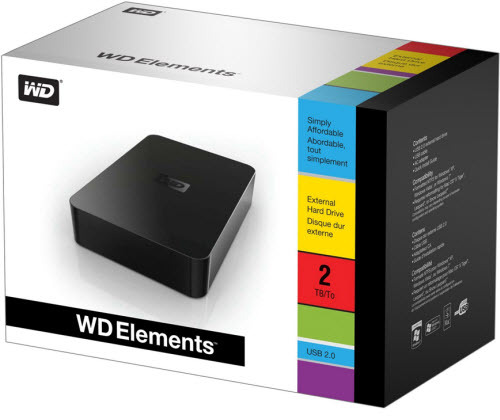 On Black Friday the Western Digital WD Elements listed for $99.99, which is $30 more than Target. I waited until Cyber Monday and checked out Amazon again and this time they were selling them for $89.99, which isn't too bad. It's $20 more than the Black Friday deal, but hey, it's 2TB for $89.99, which works out to about $.044 per megabyte. I also considered buying the Seagate FreeAgent GoFlex Desk 3 TB USB 2.0 External Hard Drive (model STAC3000100), which sports 3TB, but it costs $189.99, so it's $100 more for just 1TB extra or $.10/MB - more than double the cost per MB of the Western Digital hard drive. The Western Digital Elements 2TB is dead silent. It's pretty light, so you could use this as a portable drive-on-the-go if you wanted to. The indicator light is on the rear, which is a very good thing because the drive is located in my home theater and I find too many LEDs distracting from the movie watching experience. Darker the better! After I hooked it up, I copied 953GB of data and the speed averaged between 28MBps to 38MBps throughput. Amazingly it was only warm to the touch and not hot like other external hard drives I've tested and reviewed. It's 7200RPM not 5400RPM, so it's pretty fast. Another think I liked about this hard drive is that it didn't come with any built-in software which cannot be deleted (like the WD Essential Edition 2TB model which lists for $129.99). 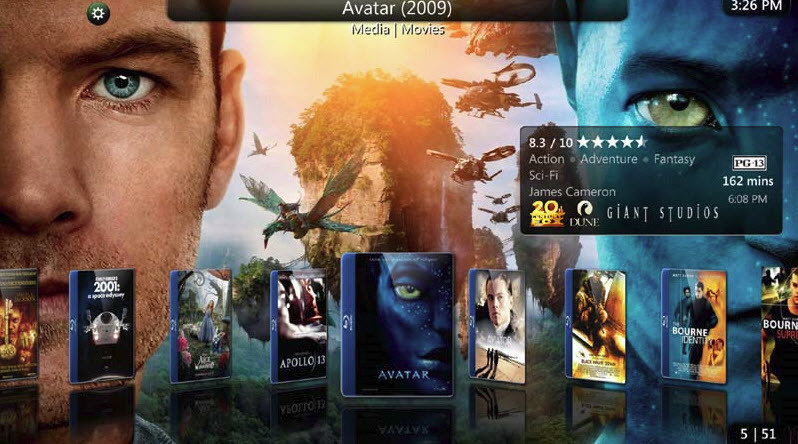 This is a hassle free drive with no bundled software that gets in the way. You actually pay a premium ($30-$40) when you buy WD drives with the backup software bundled, so you're better off saving money and getting this model instead. I should mention this drive can easily be formatted to work with Macs and it works perfectly with Time Machine. I highly recommend you buy the Western Digital Elements 2TB hard drive if you're looking to add more storage at a cheap price and without the extra junk software that you often get with competitors' hard drives. The Western Digital Elements 2TB external USB HDD is available here on Amazon.